the root of all behavior. 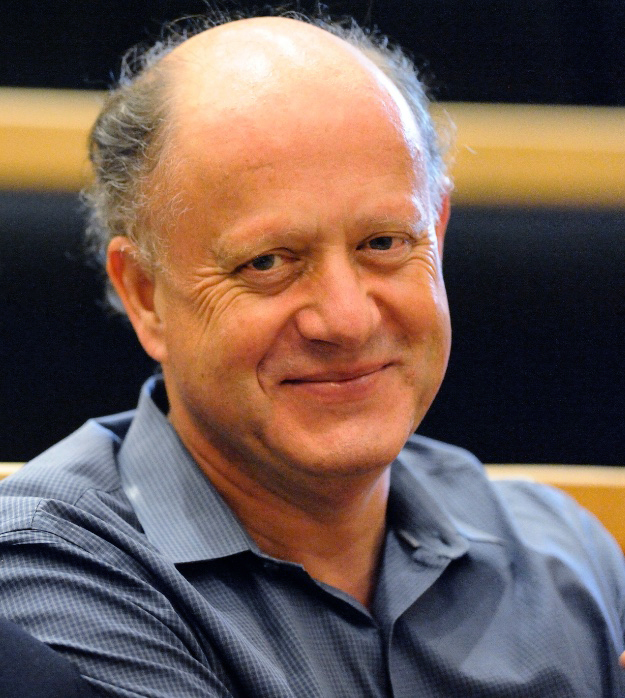 Thomas Jessell is a Professor of Biochemistry and Molecular Biophysics and Neuroscience, and a member of the Neurobiology & Behavior doctoral program at Columbia University. Dr. Jessell received his Ph.D. in neuroscience from Cambridge University, UK, worked as a post-doctoral fellow at Harvard Medical School, and as a Locke Research Fellow of the Royal Society. In 1981 he became an Assistant Professor in the Department of Neurobiology at Harvard Medical School. In 1985 he moved to Columbia University as an Investigator of the Howard Hughes Medical Institute. 1981-1985 Jane Dodd, Ph.D.; Postdoctoral Research Fellow; Currently Professor, Department of Physiology, Columbia University, College of Physicians and Surgeons, NY. 1982-1984 Koichi Yoshioka, M.D., Ph.D.; Postdoctoral Research Fellow; Currently Assistant Professor, Department of Pharmacology, University of Nagoya, Japan. 1985-1987 Arthur Lander, M.D., Ph.D., Postdoctoral Research Fellow; Currently Professor Neurobiology, University California Irvine. 1985-1987 Anne Calof, Ph.D., Postdoctoral Research Fellow; Currently Professor, University California Irvine. 1986-1987 Sally Temple, Ph.D., Postdoctoral Research Fellow; Currently Professor, State University of New York Albany. 1987-1991 Marc Tessier-Lavigne, Ph.D.; Postdoctoral Research Fellow. Currently Professor, Stanford University. 1987-1991 Mary Hynes, Ph.D; Postdoctoral Research Fellow. Currently Research Scientist, Renovis, Inc.
1988-1992 Andrew Furley, Ph.D; Postdoctoral Research Fellow, Currently Senior Lecturer, University of Sheffield. 1992-1996 Sam Pfaff, Postdoctoral Research Fellow. Currently, Investigator, Howard Hughes Medical Institute, Professor, Gene Expression Laboratory, The Salk Inst. 1992-1998 Yasuto Tanabe, Postdoctoral Research Fellow, Currently Research Scientist, Mitsubishi Kasei Institute for Life Sciences Japan. 1994-2000 Kevin Lee, Postdoctoral Research Fellow; Currently, Director of Research, Sentigen Inc.
1996-2001 Shanthini Sockanathan, Postdoctoral Research Fellow. Currently Assistant Professor Johns Hopkins School of Medicine. 1996-2002 Alessandra Pierani, CNRS, Postdoctoral Research Fellow. Currently Research Scientist, UMR, Paris, France. 1997-2000 Tohru Yamamoto, Postdoctoral Research Fellow. Currently Assistant Professor, Tohoku University, Sendai, Japan. 1997-2003 Stephen Price, Postdoctoral Research Fellow. Currently Assistant Professor, University College London, UK. 1998-2000 Karel Liem Jr., Postdoctoral Research Fellow. Currently Department of Biochemistry, University College London. Currently Assistant Professor of Pathology, Duke University Medical Center. 1987-1994 Daniel Felsenfeld, B.Sc., Ph.D.; Postdoctoral fellow, Duke University.Assistant Professor. Mt. Sinai College of Medicine. 1991-1996 Tammy Tsuchida, M.D./Ph.D. ; Resident, Pediatric Neurobiology U.S.C.F. 2000-2007 Natalia de Marco, Currently Postdoctoral Fellow, Smilow Neuroscience Program, NYU Med. Ctr. 2002 - 2009 Elena Demireva, Currently Post Doctoral Fellow, Dept of Developmental Neuroscience, NYS Psych. Inst. 2010 - 2015 Tim Machado, Ph.D.; Co-founder Cognescent Corp.
2010 - 2016 Thomas Reardon, Co-founder Cognescent Corp.